Can a Fence Keep Deer Off My Property? You are here: Home / Fence School / Can a Fence Keep Deer Off My Property? 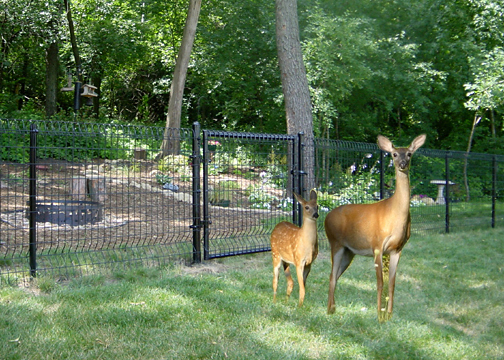 To keep wild white tail deer from entering your property a 6’ high fence will do the job. Why? All animals are basically lazy. Jumping a 6’ high fence is hard work, so deer will walk to the neighbors’ property and eat their trees and plants.